If you love Biblical fiction and have never heard of Tracy Higley then where have you been! So Shines the Night sets the scene in Ephesus, politically unstable times with an uprising against Paul and the Christian followers brewing. During this time we meet Daria, a widow who becomes a tutor to Lucas a wealthy travelling merchant in Ephesus. Daria's heightened senses to the power of evil in a person are brought to light when she encounters Lucas' dark background in evil and sorcery – she fears she may not be able to bring him through to the light especially after a brutal crime is committed and Lucas is arrested. Hope is on the horizon as Daria befriends the followers of 'The Way' and finds herself drawn to the Christians and the source of their power to defeat evil. Will she be able to save Lucas from his demons? What will happen to Paul and the Christians? Tracy Higley is a skilled writer of historical and Biblical fiction starting her writing career at the age of just 8. She has also written dramatic productions which have now been seen by over 10,000 people. Her passion is for writing novels that will transport the reader into another world; stories of God reaching out to all the nations inviting them into a relationship with Himself. 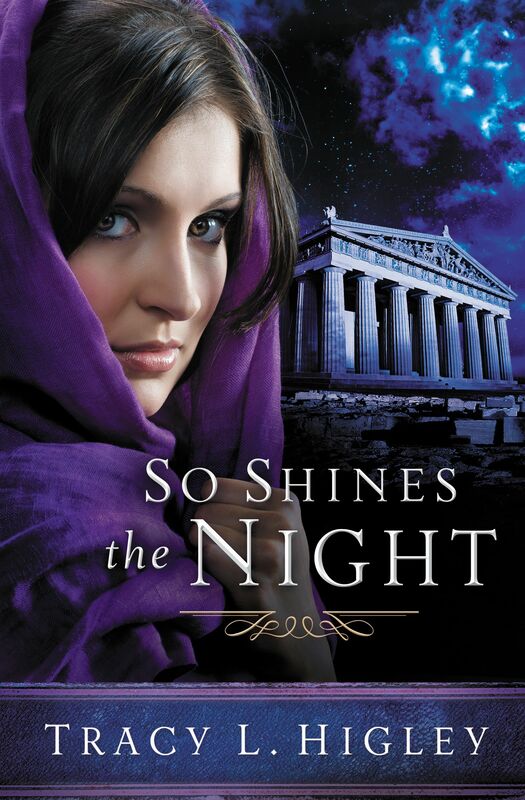 So Shines The Night by T L Higley; Tracy L Higley was published by Thomas Nelson in March 2013 and is our 20268th best seller. The ISBN for So Shines The Night is 9781401686826. Be the first to review So Shines The Night! Got a question? No problem! Just click here to ask us about So Shines The Night. When authorities imprison Lucas for a brutal crime, Daria wonders if even Paul's God can save him. Then she uncovers a shocking secret that could change everythingLucas's fate, her position in his household, and the outcome of the tension between pagans and Christians. But only if she survives long enough to divulge what she knows.